Solution focused thinking has made us to what we are now. A young, dynamic company operating in the superyacht-and recreational yachting branches. Our topmost priorities are quality and finish. A team of specialists in the field of Stainless Steel, Carbon Fiber and everything that has to do with threaded steel and ropes warrant this. Everything is made in-house with our own machinery. At TecWire all these disciplines are housed under the same roof in Goes (NL), including our very own design-department. Experts in custom Stainless Steel and Carbon solutions in the field of yachting. always prepared to help out in any way they can. Making the additional hours outside the regular work time to get the job done. This might well be their drive and their vision, “to get the job done”. There is a strong feeling of co-maker ship. Working with them is pleasant, on a friendly base and honest. Quality of their deliveries and craftsmanship is extremely high and exceeds in many ways the expected. In that perspective they truly contribute to the perception of “Super Yacht Quality”. Tecwire is rapid but steady growing company, investing sensibly in people and its production facility. 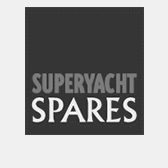 With More Marine we profile ourselves as being specialist in deck hardware for both sailing- and motoryachts. Within the current markets we need to make a difference in order to be successful. We have been focusing on the top of the market for many years in both technical knowledge and highly finished product. In order to achieve this reputation we rely on good partners such as Tec-Wire. Arjaan and his team are creative and work detailed making sure to be supplying the highest quality items within our industry. We have been working closely together in both the Superyacht industry as well as their Rigging Division creating unique products for our clients. The short communication lines with the Tec-Wire team makes us act quick in the demands of our clients.